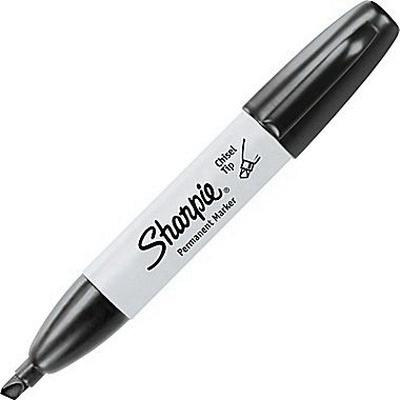 Premie Sharpie Permanent marker with black ink, has versatile chisel tip that creates both broad and fine lines. It has anti-roll body design that helps to keep permanent marker in its place. AP certified and quick drying ink used in this marker is water-proof and non toxic for permanent markings. Permanent marker is AP certified.